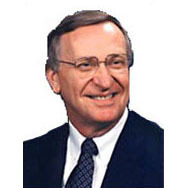 Front Page » Sports » Ken Plum: Kids count! Since 1990 the Annie E. Casey Foundation has ranked states annually on overall child well-being in a report called Kids Count Data Book. The Foundation’s report is viewed as the authoritative source of information on how we are doing nationally as well as state by state for our children. An index of key indicators in four domains measures what children need most in order to thrive: (1) economic well-being, (2) education, (3) health, and (4) family and community. “States vary considerably in their amount of wealth and other resources. State policy choices also strongly influence children’s chances for success.” (Kids Count Data Book, page 20) Living in the ninth wealthiest state, Virginia, in the wealthiest nation, the United States, we need to ask ourselves if we are doing as well as we should for our future as represented by what we are doing for our children. Virginia’s rate of 15% of children in poverty is better than the national rate of 23%, but we can take little comfort in our better percentage when we realize that there are 279,000 children in poverty in Virginia. All regions of the state, including Northern Virginia, contribute to that number that has gotten worse in recent years. Reflecting the recent recession, the percentage of children whose parents lack secure employment has risen from 23% in 2008 to 25% in 2012. Despite all the evidence of the importance of early childhood education and the incredible returns that can be realized from an investment in preschool programs, more than half (52%) of Virginia’s children are not attending preschool. Unfortunately many of the children who do not have an opportunity for an early start in education contribute to other statistics that find 57% of fourth graders are not proficient in reading, 62% of eighth graders are not proficient in math, and 16% of high school students are not graduating on time, although these numbers have been improving in recent years. Virginia has seen a slight improvement in the health indicator of low-weight babies at 8.1% over the last decade but exceeds the national rate of 8%. In Virginia as well as in the nation, about 6% of teens abuse alcohol or drugs. Probably paralleling the increase of children in poverty is the number of children in single-parent families increasing from 29% in 2005 to 31% in 2012. The number of children in families where the household head lacks a high school diploma has improved from 13% to 9% during the same period and beats the national 15%. The area of greatest improvement in Virginia is the rate of teen births per 1,000 dropping from 34% in 2005 to 23% in 2012. Still the lower percentage represents over 6,000 babies born to teenagers each year. While the statistics are interesting, the much more important question is how they inform public policy. Officials at all levels of government need to demonstrate through our actions that we know how much kids count!